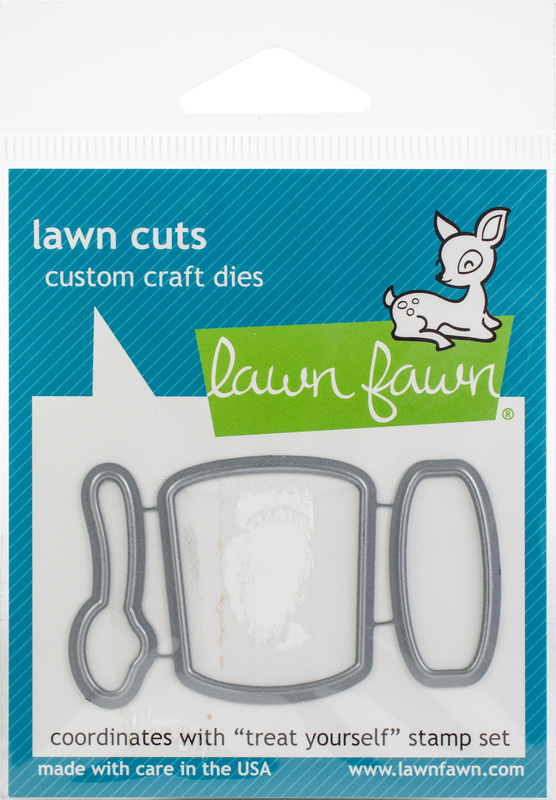 Stamps > Lawn Fawn Stamp and Die Bundle "Treat Yourself"
Lawn Fawn Stamp and Die Bundle "Treat Yourself"
Lawn Fawn custom craft dies are made of 100% high-quality steel, compatible with most die-cutting machines, and will inspire you to create cute crafts! This package contains Treat Yourself: a set of three metal dies measuring between .5x1.5 inches and 1.25x1.5 inches. WARNING: Choking Hazard. Not suitable for children under 3 years. WARNING: May contain items with sharp edges. Handle with care. Made in USA. Ideal for cards, scrapbooks, stationary and other crafts! Gently peel the stamp off the sheet, position on an acrylic block and stamp. 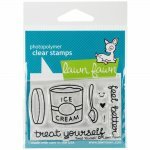 This package contains Treat Yourself: a set of eight stamps on a 2.75x1.75 inch backing sheet. WARNING: Choking Hazard. Not suitable for children under 3 years. Made in USA.